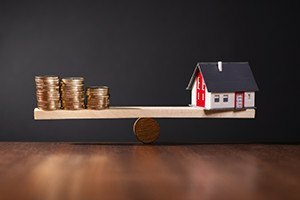 One of the first questions you must answer once you have decided to buy a home or other property is how much you can afford on your own and how much credit a lender would be willing to extend to you. Generally, you will need to speak with a lender and provide information about your job, your income, and your assets and debts. You should also know how much you will be able to put down as a down payment. It is advisable to obtain the advice of an experienced real estate attorney after you have obtained a mortgage pre-qualification in the Boston area and identified a house that you are able to buy. At Pulgini & Norton, we have advised many home buyers on their rights and obligations. A mortgage pre-qualification is an estimate of what you can afford and what a lender will be able to loan you. Most buyers do not have sufficient funds to buy a property for cash. Their ability to buy a property depends on their ability to borrow and what a lender is willing to loan them. A loan officer who represents the lender will review the information about your financial circumstances and may also run a credit report. The officer will then provide you with an estimate of what he or she thinks you can afford as a monthly mortgage. Unlike a pre-approval, this is not a commitment of any kind for mortgage funding. Instead, it allows you to determine what your price range is for buying a home. You can obtain a mortgage pre-qualification from multiple lenders to get a sense of what loan program would be appropriate and to determine your ability to buy a property. You should also consider applying for a mortgage pre-approval. This is a written letter tentatively approving or denying you for a certain loan amount. A pre-approval letter will assure brokers and sellers that you are a qualified buyer for the property that is on sale, and it gives more weight to your purchase offer. It makes you a more attractive buyer. However, if a commitment is not delivered by a specified date, the contract may be deemed null and void. Usually mortgage commitments include contingencies and are not guarantees that you will have funds at the time of closing. An experienced attorney can counsel you on the legal implications of a loan's financing terms. Once you enter into a purchase and sales agreement with the seller, you have a certain amount of time to secure financing. At that time the lender will review your information again, appraise the property, conduct a title search, and determine whether it will offer you a mortgage and on what terms the mortgage will be offered. In general, you will need to repay a principal sum plus interest on a monthly basis until the loan is fully paid off. The interest rate will be fixed or adjustable, and which alternative you choose can affect your payments. It is important to have the advice of an experienced real estate attorney once you find a Boston property that you wish to buy. At Pulgini & Norton, we can discuss the financing process and counsel you on loan terms. We represent individuals in Somerville, Medford, and Newton, among other communities. Call us at 781-843-2200 or contact us via our online form for a consultation.